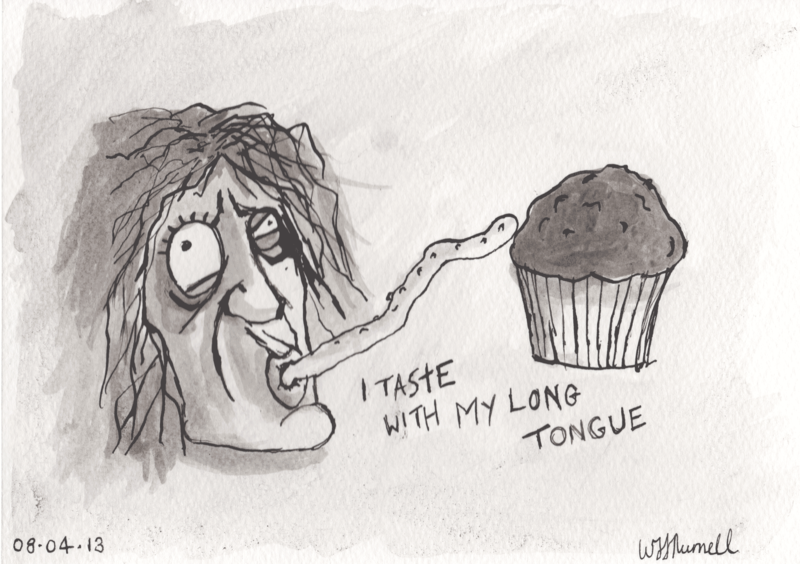 Long tongues are great for tasting other peoples cupcakes when they are not looking. This Chap does exactly that when his wifes back is turned. She never knows he does it.